On February 6, a federal judge rejected an effort by the U.S. Army Corps of Engineers (“Corps”) to dismiss a lawsuit challenging its refusal to adequately protect shoreline areas in Puget Sound. The Court’s decision means the lawsuit, which charges that the agency has refused to assert its Clean Water Act jurisdiction over most shoreline armoring in Puget Sound, will go forward. 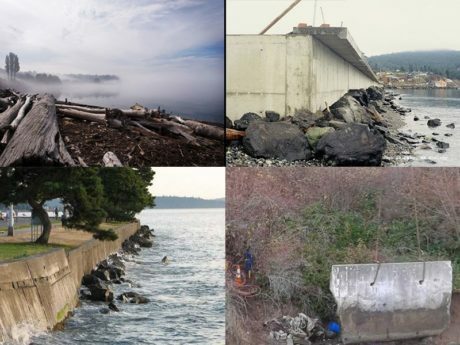 “The Army Corps has been unlawfully limiting its jurisdiction under the Clean Water Act, allowing harmful shoreline armoring projects to move forward without proper oversight here in the Salish Sea. We’re glad to see that the case is moving forward,” said Jennifer Barcelos, attorney at Friends of the San Juans.